What Are the Technical Requirements for PublishPress? Why PHP 5.6? Because PHP itself does not support anything lower than 5.6. Click here for more details on PHP version support. 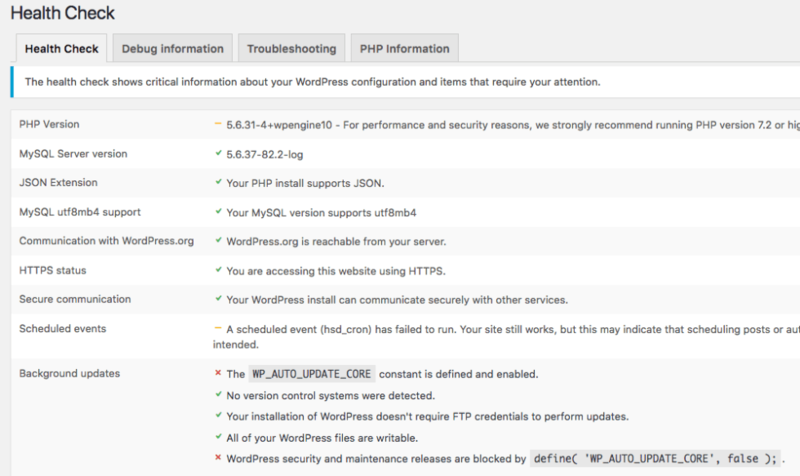 Any version of PHP before 5.6 does not have security updates and will not keep your site safe. Does my site meet the requirements? If you are unsure of what version of PHP and other software that your site is using, you can use the Health Check plugin to find out.